These solid steel Bisexual Pride pins are designed to complement your LGBTI inclusion initiatives, and promote Bisexual pride and visibility. 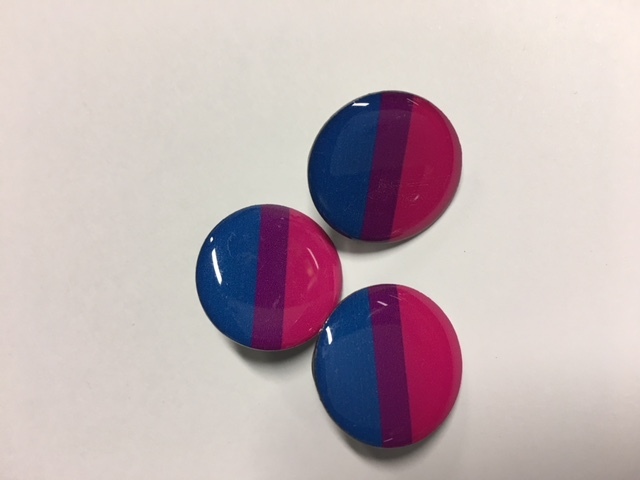 The Bi Pride badge can be worn on clothing, pinned to your lanyard or pinned to desktop partitions, notice boards or compendiums. Bi Pride badges are round and 2cm in diameter.